If you haven’t signed up for Paytm yet, now is the time to do so, as ‘Canada’s most rewarding app’ is ready to prove it to Canadians. 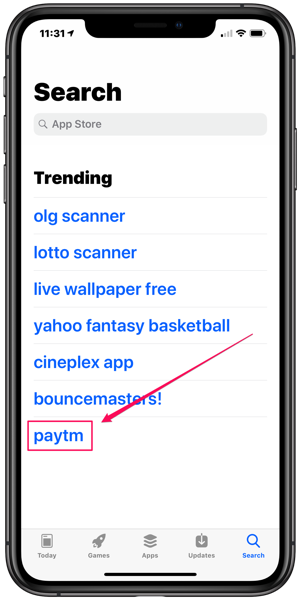 Toronto-based Paytm has been trending in Apple’s App Store via the Search tab and the company wants you to join in with over a hundred thousand other Canadians in earning rewards for paying bills. Paytm is currently the 12th ranked free app in the App Store Finance section. A limited-time Paytm promotion right now will offer up 10,000 Welcome Points to new users who download their app and sign up. 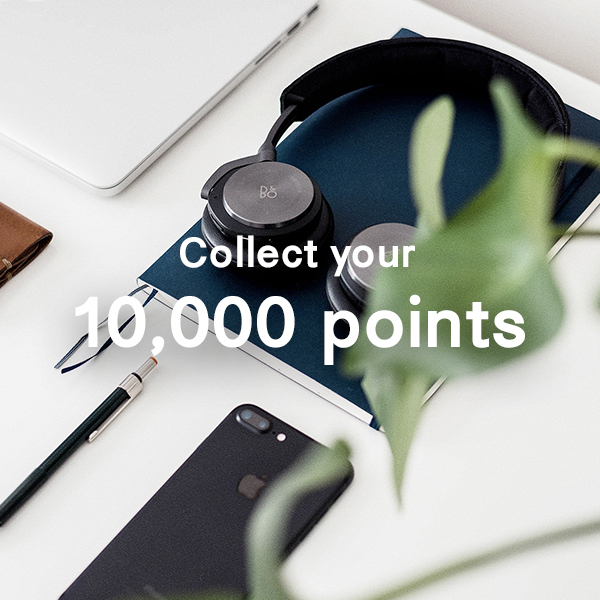 The bonus welcome points are equivalent to $10 CAD, which you can instantly redeem for a gift card from popular brands such as: Apple Music, iTunes Gift Cards, Tim Hortons, Cineplex, Gap, Uber, Sephora, Starbucks, Pizza Pizza, Sport Chek, Best Buy, Lululemon, Amazon and much more. 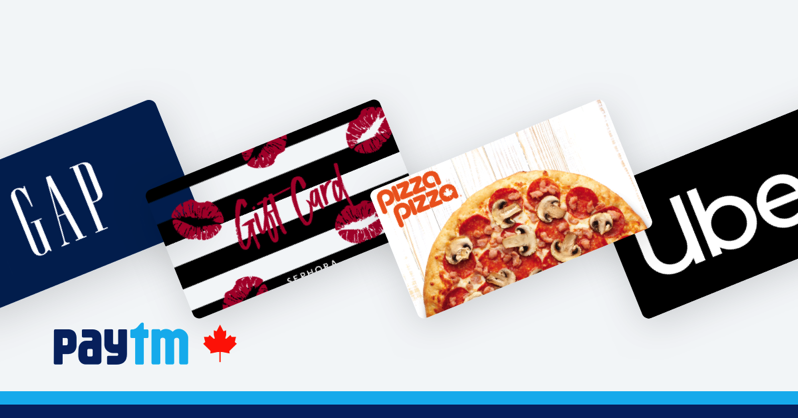 No purchase is required, all you have to do is download Paytm Canada and sign up. By using Paytm to pay your utility bills, property taxes, credit card bills and thousands of other available bills from service providers, you’ll be earning points. You can pay your bills easily by either linking your credit card, debit card, bank account and/or add money to your Paytm Cash account. With your Paytm points gained from paying bills, you’ll be able to redeem them instantly for gift cards or discounts off these rewards cards. When you pay a bill with Paytm using your Mastercard credit card, Paytm Cash or your linked bank account—there are zero service fees. Paytm does not interfere with you collecting points from your Mastercard credit card. In fact what many Canadians are doing is they are ‘double dipping’: earning both credit card points AND Paytm Points. Paytm allows you to earn and reap your rewards sooner, effortlessly from your smartphone. A new limited-time credit card bill promotion has increased reward points to 2,000, when you pay your credit card bill with the Paytm app. Not only that, when you refer a friend, and they sign up and pay their first bill of $50 or more, you both will collect 5,000 Paytm Points. Paying bills with Paytm Cash is super easy—but refilling your balance is even easier. Just hit up any Canada Post location to deposit cash into your account. Want to refill online? Just use your online bank account from RBC, Scotiabank or BMO and add Paytm as a payee to top up your funds. Paytm’s SmartDeposit feature also allows you to easily automatically reload your Paytm Cash from your linked bank account every two weeks. Wave goodbye to fees. With the Paytm Canada app, pay your bills not additional fees. Download the app and sign up today. Need to send someone money in Canada? 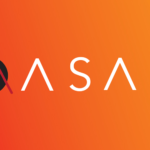 You can send as little as $1 to anyone in Canada, without being charged any fees as well. 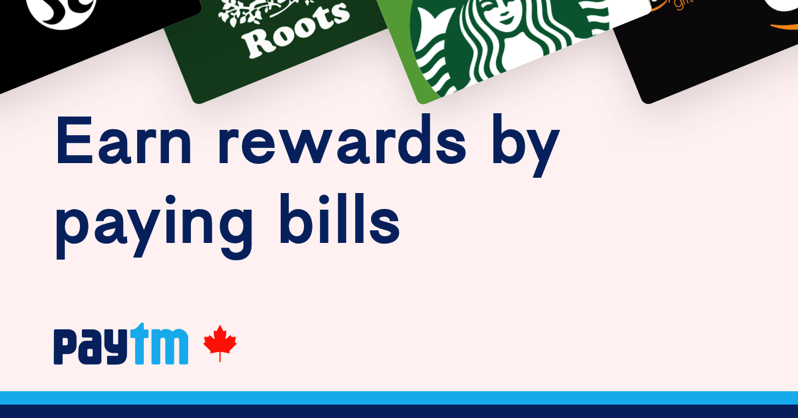 Paytm Canada is making life easier for Canadians and also letting them earn rewards by paying bills. Be sure to follow them on Twitter, Instagram and Facebook, so you don’t miss out future promotions. Click here to download Paytm Canada and sign up today to earn your 10,000 bonus welcome points, as it’s only available for a limited time. Disclosure: Thanks to Paytm Canada for sponsoring iPhoneinCanada.ca this week.